The fallen, the broken, the discouraged, the hurting. The ones who sit alone at home or feel alone in the middle of a big gathering. The ones that few others see. Except you. You see beyond the facade to understand much of what we can’t express. You sense that you are called to speak up, reach out, and draw us in. But we can imagine that it’s not always easy to be an encourager. Sometimes when you reach out, we might not respond in a way that fully affirms the value of what you offered. We’re sorry for that. We’re not always aware of how broken we are and how broken our responder is. We wonder if the enemy uses our broken responses to downplay the importance of what you do. In case you’ve doubted yourself lately, we think there are a few things you need to hear. 1. When you tell us “I’m praying for you,” those aren’t just words. You. Posting, texting, messaging, calling, writing. However you do it – whenever you do it. Matters. Sometimes it’s the one thing that helps us fight back that next round of tears or wave of panic. Your words carry behind them the power of heaven when you pray for us. And then when you tell us, you remind us that heaven heard our pleas. 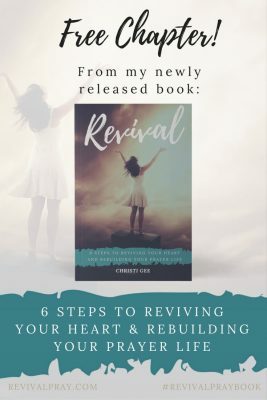 When you tell us we are on your heart and that you’ve been prompted to pray, we know that means the Spirit has been moving you, interceding for us. And we are reminded that we are not alone. Not only are there others on this earth who care, but God is marshaling His army of warriors on our behalf. 2. You are a nighttime ninja. When the daylight fades and the darkness takes over, our weakness is magnified. We are scared of what the future holds. Yes, we may act brave and talk of God’s goodness and faithfulness when you offer sympathy, but we really aren’t that brave. We do believe that God is good and He is faithful, but when the night creeps into our bedroom, that knowledge somehow stops informing our heart. Knowing the truth and feeling the truth are two different things. When you reach out just before you go to bed with a Scripture or a prayer or a simple “I care,” it’s like you did a Star Trek move and teleported to our bedside to let us borrow your shield and sword and fight off the lies of the enemy. With that in mind, here’s a passage that has comforted many of us. We never get tired of being reminded of this truth. 3. You don’t have to fix it. You don’t have to have something big or profound to say. Just saying, “I’m so sorry. I know this must hurt,” is a great start. Every word and action you offer to us when we are down is multiplied and magnified. We hear so much more than is actually said. You hold power in your hands when you pick up that phone to send a text or type a message that speaks truth and life and comfort. It’s not as much about the actual words as it is about knowing you care. So don’t fear that your words aren’t perfect. And please don’t let the enemy convince you they aren’t necessary. 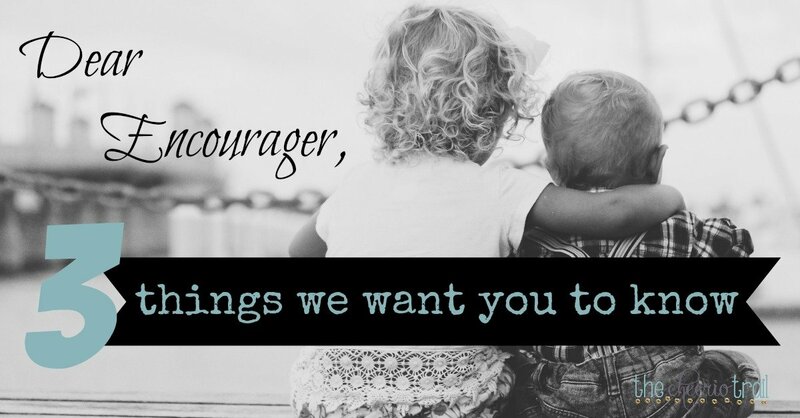 Dear encourager … be encouraged. It’s ministering to the least of us at times when few others even know you did. You will likely never even know your impact. But we know. 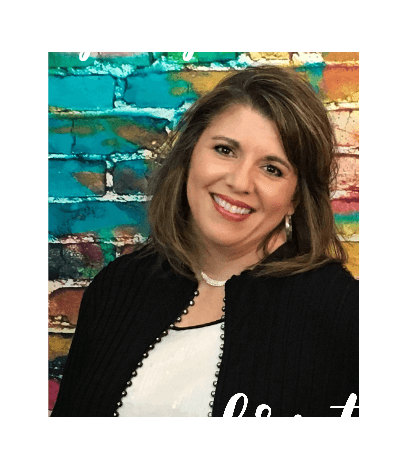 Inspiration to persevere in your God-given calling and tips on how to minister to friends who are down. Encouraging the encourager through hope and help. I LOVED this! I love to encourage people. I love to send out cards just to tell people “hey I’m thinking of you and just wanted to tell you just you were on my heart today and I’m praying for you”. I love to go on my Fitbit community and encourage people or leave a note of encouragement for my cranky co workers. Nothing gives me more pleasure then to write to a deployed soldier just to let them know that we love them and appreciate the sacrifices they are making and as the mother of a soldier that is currently deployed, I know just how much it means to them. I get lists of deployed soldiers from friends and customers of the bank where I work and write to them and it blesses me so when they write back and let me know how I can pray for them and their families. But, I had to remove myself from Facebook because I would post encouraging things and people would make snarky comments and I just really started getting negative and losing my peace so I deleted my Facebook page but I kept messenger and Instagram so I could keep up with friends I grew up with etc. the only BAD experiences I have as an encourager is I get my own feeling hurt easily and my coworkers (I work with 6 women who LOVE to gossip and tear others down and one of them in particular verbally attacks me every chance she gets hoping to get me upset and get a negative reaction from me and for many years up until recentl it worked but I decided I am going to remain peaceful. I wrestle not against flesh and blood but against principalities of darkness. So please keep me in prayer as I face this daily. But I will NOT stop being an encourager for I feel thst it is what Gods purpose is for my life. Holy moly!!! This was such a beautiful post, and I’m so thankful I found it. 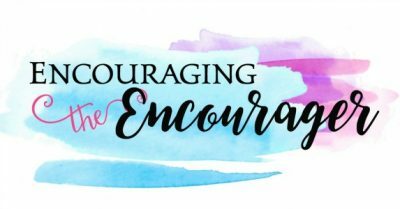 I write a blog as well, and I was looking for an image about encouraging an encourager. Recently, there was a day when I was both the encourager and the encouraged. Such a crazy faith journey!! I hope you don’t mind if I use your image on my post, and I’m pointing my readers to this post. We all need encouragement, including those of us who encourage. Thank you, thank you, thank you!! Thank you for this. I am the one that needs encouraging ~ 48, twice divorced, no children, and very, very little family..what I do have doesn’t take much of an interest in me. I attend church, but am often overlooked as I’m not married and single people are often marginalized in the church. The only time I get hugs is when I’m at church. I can’t tell you how much words of encouragement mean. This brought me to tears. I just never thought at this age I would be so alone. Thank you for remembering us, and God bless His Encouragers. Thank you for letting me know. I prayed for you first – before responding – that you would find comfort in the ONE who comforts those in affliction. And that those who know the beauty of being comforted would be drawn by Him to minister to your weary heart. This one brought me to tears today. I’m one of those with the gift of encouragement. Most days we encouragers do very well; however, occasionally, we get need encouragement ourselves! I’m thinking maybe you are an encourager as well?? 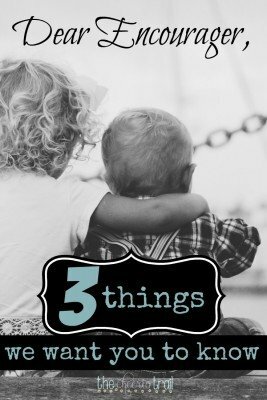 I’m sharing your post today on Twitter, Pinterest, and FB. I know first-hand that you ARE an encourager. And a powerfully gifted one. I’m so humbled to have been able to string together a few words that encouraged you after you have been such a faithful warrior in my life. Looking forward to walking more of this road together! What a beautiful idea and precious invitation. Thank you for YOUR encouragement. I’d be honored. Looking forward to knowing you better now that we know each other is here! You have given me such wonderful words of thanks that I can share with those who encourage me. God certainly used you this morning to both move me to thank my encouragers, and to give me words to thank them with. To let them know that “every word they offer me when I am down is multiplied and magnified.” Thanks for the reminder that encouragers need encouraging, too! Visiting today at Holley Gerth’s Coffee for Your Heart. Oh, I’m with you, sister! My fiery year has been made bearable by all of those who encourage me when I need it the most. It doesn’t have to be much. It doesn’t have to be often. But when an encourager listens to the Holy Spirit–it’s always at the right time! I can tell from reading your blog that you do, indeed, understand this well. I’m honored to have you here and looking forward to learning more from someone who has come through such a season of trials. Scripture quotations marked (NLT) are taken from the Holy Bible, New Living Translation, copyright ©1996, 2004, 2015 by Tyndale House Foundation. Used by permission of Tyndale House Publishers, Inc., Carol Stream, Illinois 60188. All rights reserved. Used by permission.